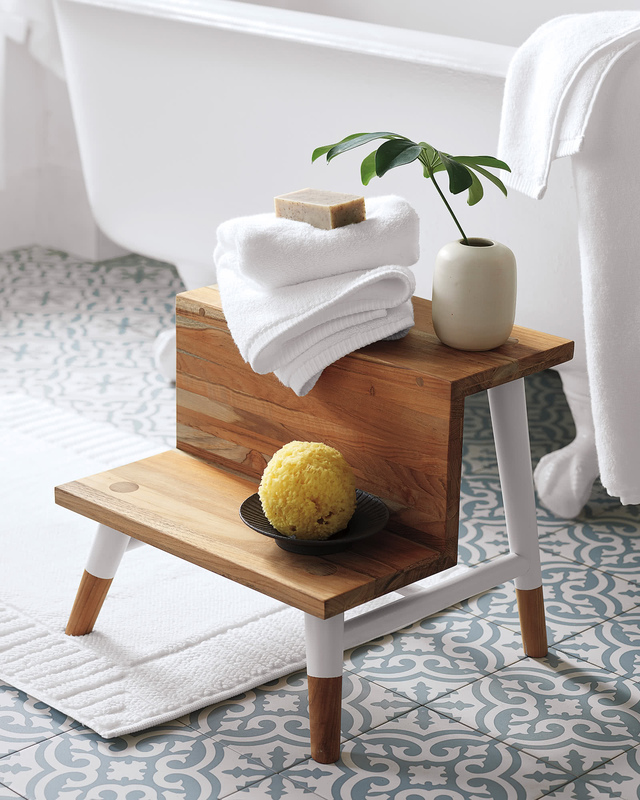 Teak Step StoolTeak Step Stool, alt="Teak Step Stool, "
Print A must for the bath. And not just because it's pretty to look at. 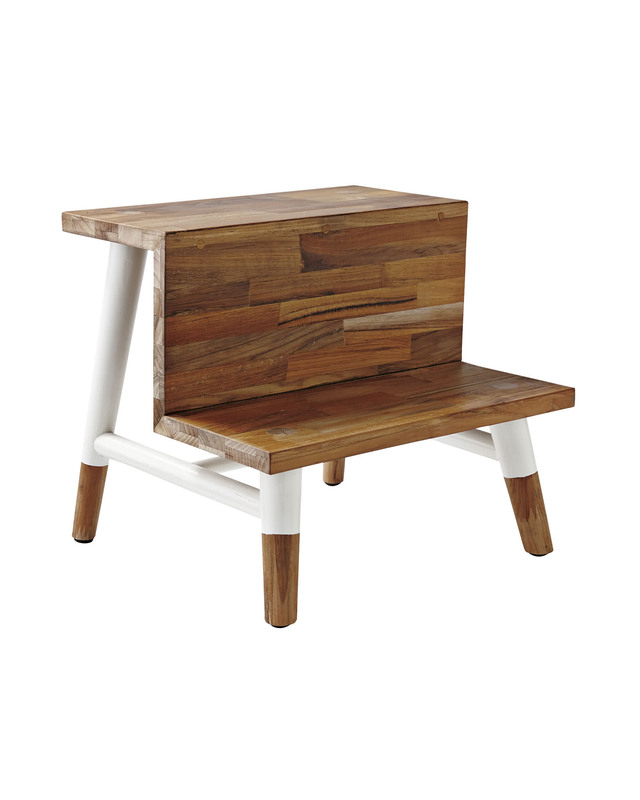 Teak is naturally water-resistant, so it stands up to moisture like a champ. 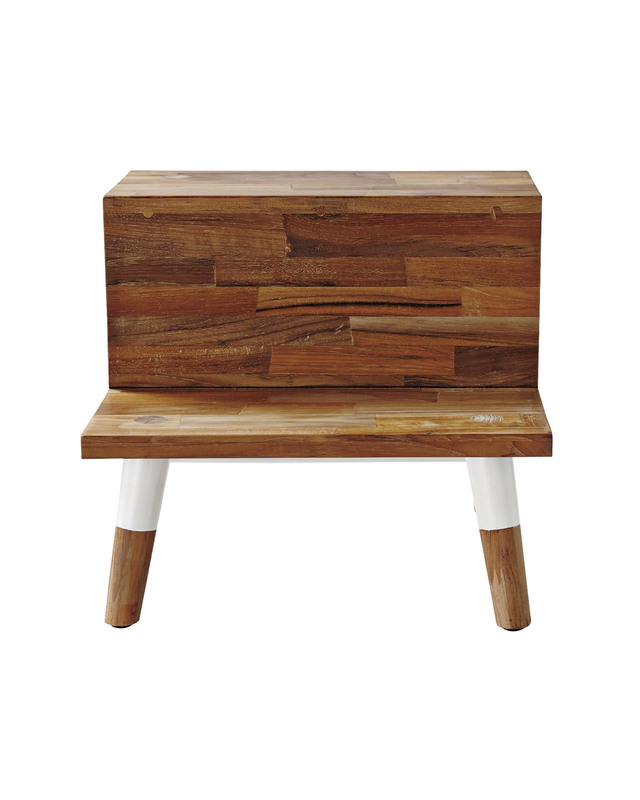 Painted legs give the wood's matte finish a modern pop. Wide steps help little feet stay firmly planted. Holds up to 150 lbs.